How can you find your flow even with things that aren’t the easiest? I am traveling today. A road trip through the desert of Arizona. I am not much of a desert girl. I have spent too many years living in the snow and ice. 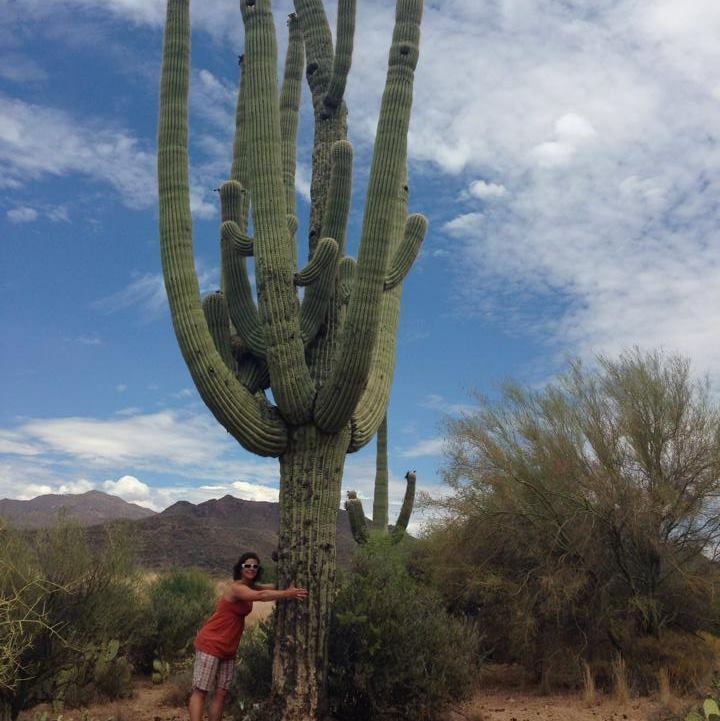 Although, I can’t say I crave getting to the hot desert weather, I do love Saguaro cactus. Today, as I pass all these crazy cacti flying past my car window, they are reminding me to notice the beauty in sharp, edgy, and unique things. Not always the easiest things to be around, but they are pretty cool anyway. Here’s to finding your Friday Flow with the prickly things in your life. Where can you shift from feeling the pain to noticing the beauty? Even if just a sliver of recognition toward the unique experience it is giving you right now. Change your perspective … change your mind. This isn’t about a new age-y trip or about religion or yoga. This is actually about building your brain circuits. So why not try it out. See what happens in your brain when you become mindful for a short time. Just notice, see what is different than before. Maybe nothing … but I’ll bet something shifts for you. Begin by noticing how your body feels, your posture, your hands, fingers, feet, and toes. How are you breathing? How are you holding yourself. Make a commitment to return to noticing as needed. Then allow yourself to become immersed in whatever project you are doing. Turn off music, put away any distractions, tell your co-worker to be quiet (nicely). Allow yourself to connect with each detail of your project. What are the colors? Textures? Sights? Smells? Sounds? of what you are doing. Finally, each time you find you are thinking about the future or the past note it as thinking and allow those thoughts to move through and out. If it helps you can tell yourself you won’t forget anything important that needs your attention – but for now you are focused on this project and will come back to those important thoughts once you are finished here. No judgement – this is a practice for a reason. It’s not easy. So just give it a whirl and notice how it impacts your day. Commit to yourself for just 30 mins – Go On, Give it a try. Let us know how it worked for you and read other’s comments by adding your story on our Facebook page under this post. Ahhh, 4th of July is upon us. The time to celebrate our collective freedom, and I find it fitting to celebrate personal aspects of freedom as well. We are a lucky nation. Although, some would argue freedom is relative, I think today is a fitting day to celebrate your freedom. So as you sit by the water, cabin, backyard kiddie pool raising nothing more than your glass celebrate your freedom. As our favorite weekend for lounging progresses use this time to let go and create your own personal freedom. First, think about the goals you have been reaching for. Are there any that have become stagnant and out dated? Get rid of them – free up your focus. Are your goals really reflecting where you want to go and who you want to be? If not, lose them with the next drop of condensation as it drips off your glass. Free up your conscience. Do you feel guilty about your progress, direction, sacrifices, or another idea surrounding your personal change? In my opinion guilt is useless, so chuck it, and begin to free up your shoulders, the place many of us hold tension and guilt. As your shoulders loosen roll them back a few times and then forward a few, follow that with some shrugs, and finally roll them up, back, and down into their natural alignment. As you do this you’ll open up your chest and free your breath. Take a deep breath. Feel your chest expand and your body respond as the oxygen penetrates your cells and you activate your relaxation response. Free up your mind and let go of all those thoughts that keep repeating in your head. Let go of worry and anxiety; just be. Today is all about just being. Relax and let go of all shoulds and coulds and free up your schedule. Feel your skin relax and rest as you free your body and allow space for all parts of you to relax in kind. Don’t worry about places you would like to change or see differently in the mirror, toss the ideal and free your expectations. Accept who you are today for all your greatness. Freedom, it rolls off your tongue nice and even. Bask in the ease of the word and let it become your motto for the day. Do not get caught in the mind game of how difficult it is to let go of those thought patterns and pre-conceived notions, those pesky ideals of who and how you should be. Today allow yourself the pleasure of being just as you are, today, in this moment, without shoulds, coulds; have-tos. Keep the thoughts flowing through your head and make it clear they are not welcome to linger and sour your day of wonderful, sweet freedom bliss.